For all pond fish. 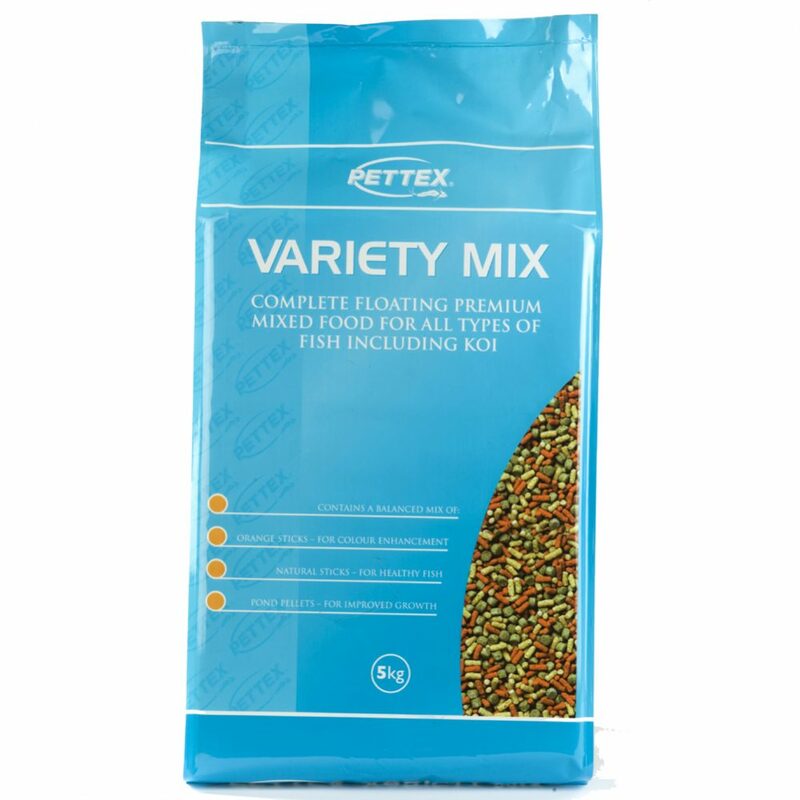 High protein for increased growth, vitamin C for disease resistance & Spirulina for colour enhancement. 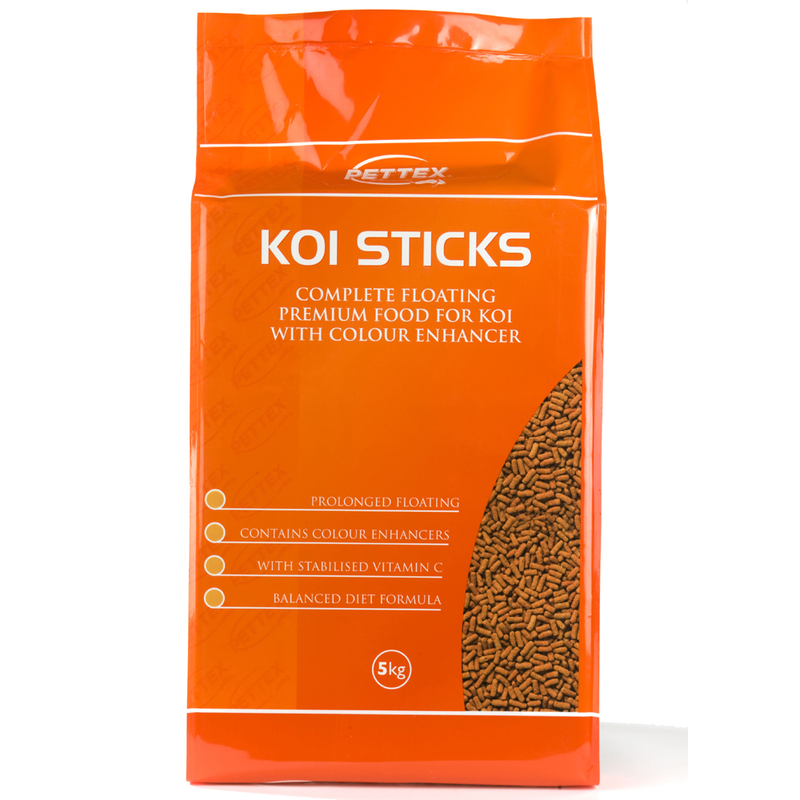 Protein 30%, Fat Content 5%, Crude Fibres 3%, Inorganic Matter 7%. 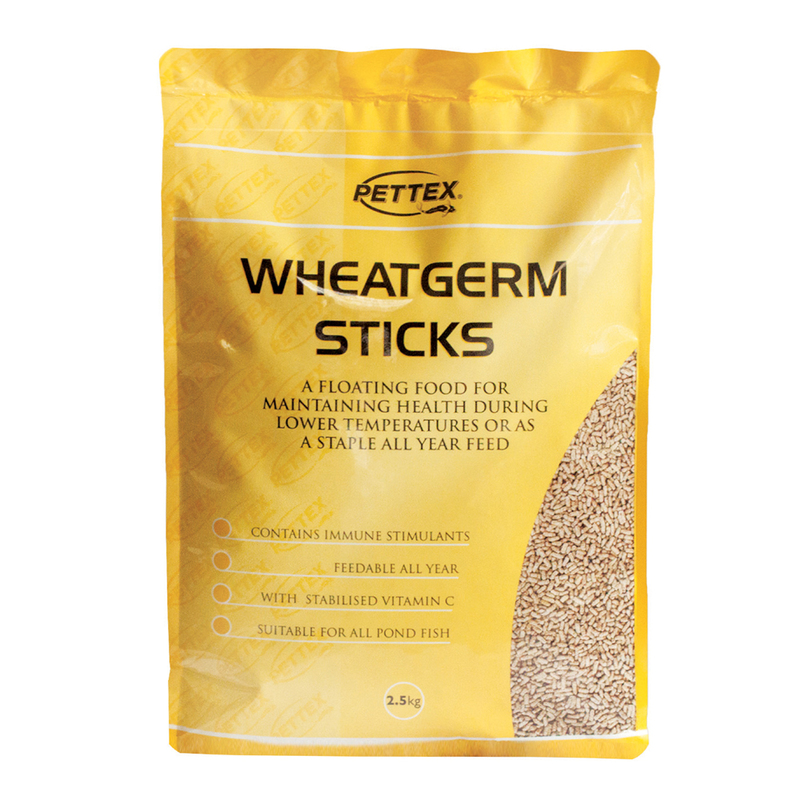 High wheatgerm content & added Spirulina, suitable for all types of pond fish. 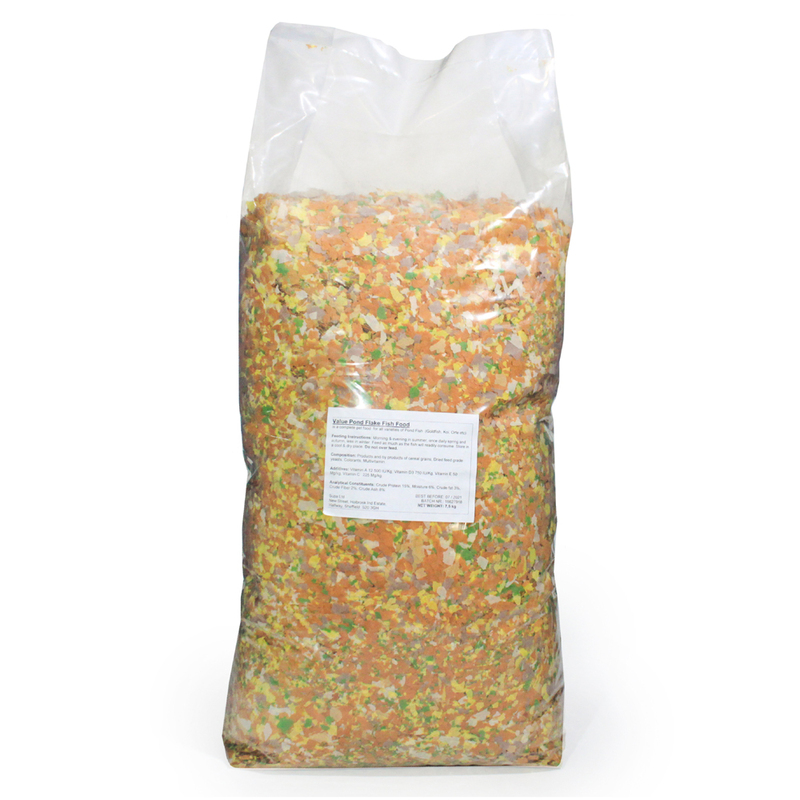 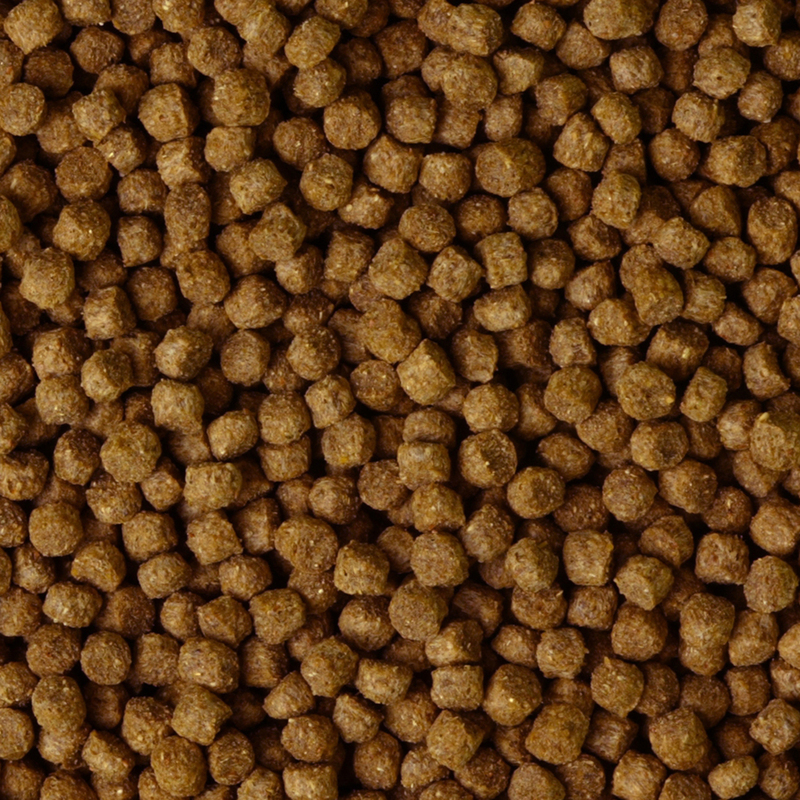 Made from Maize, Fishmeal, Oils & Fats for high palatability & low fish waste levels. Ideal for feeding at low temperatures. 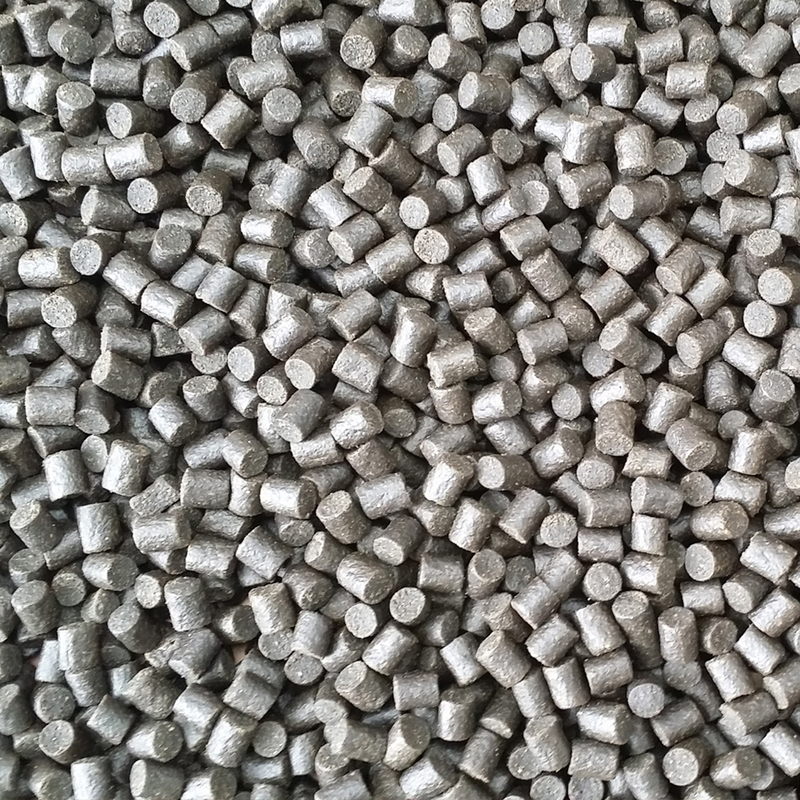 Crude Protein 30 %, Crude Fat 6 %, Crude Fibre 2.5 %, Crude Ash 8.5 %. 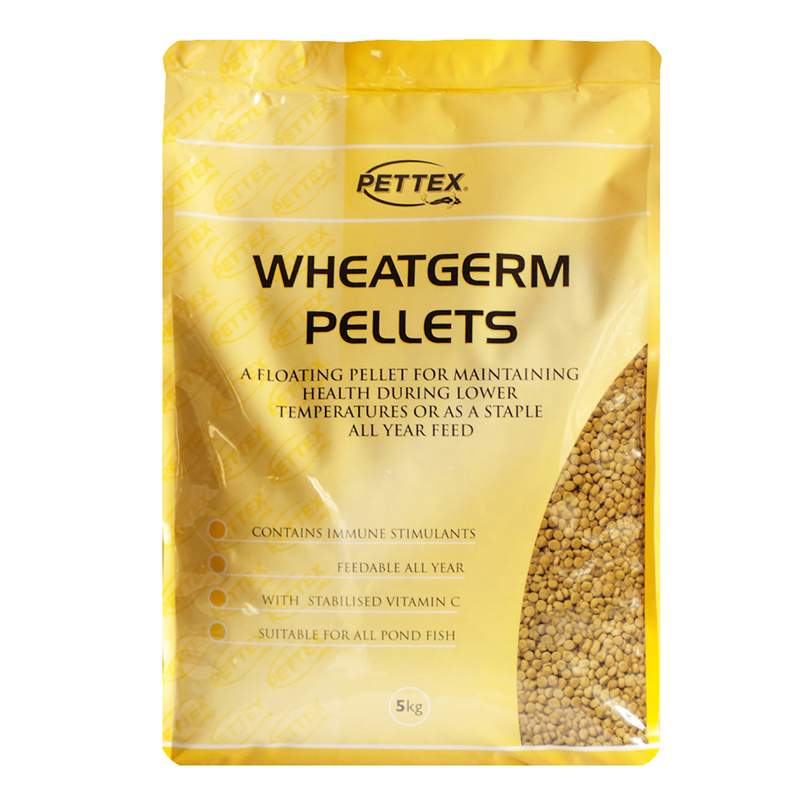 High wheatgerm content & added Spirulina, suitable for all types of pond fish. 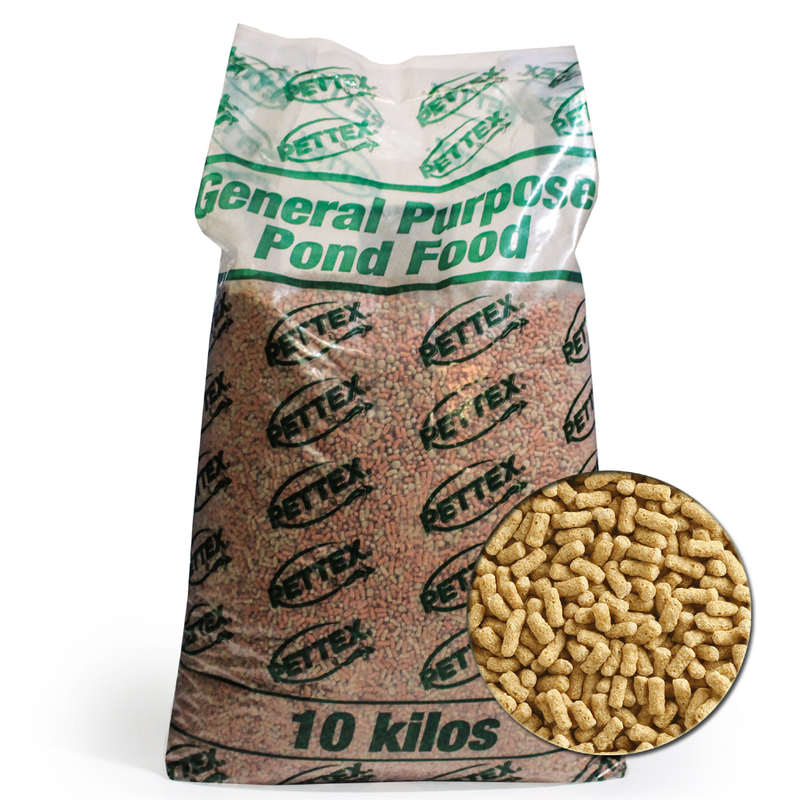 Made from Maize, Fishmeal, Oils & Fats for high palatability & low fish waste levels. Ideal for feeding at low temperatures. 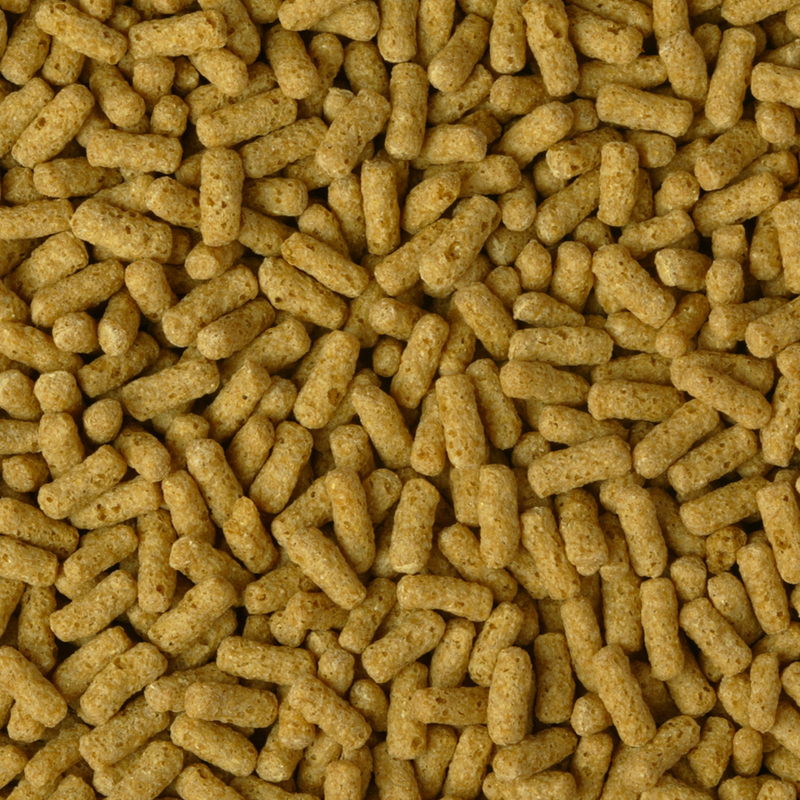 Crude Protein 20 %, Crude Fat 5.5 %, Crude Fibre 3.5 %, Crude Ash 7.5 %. 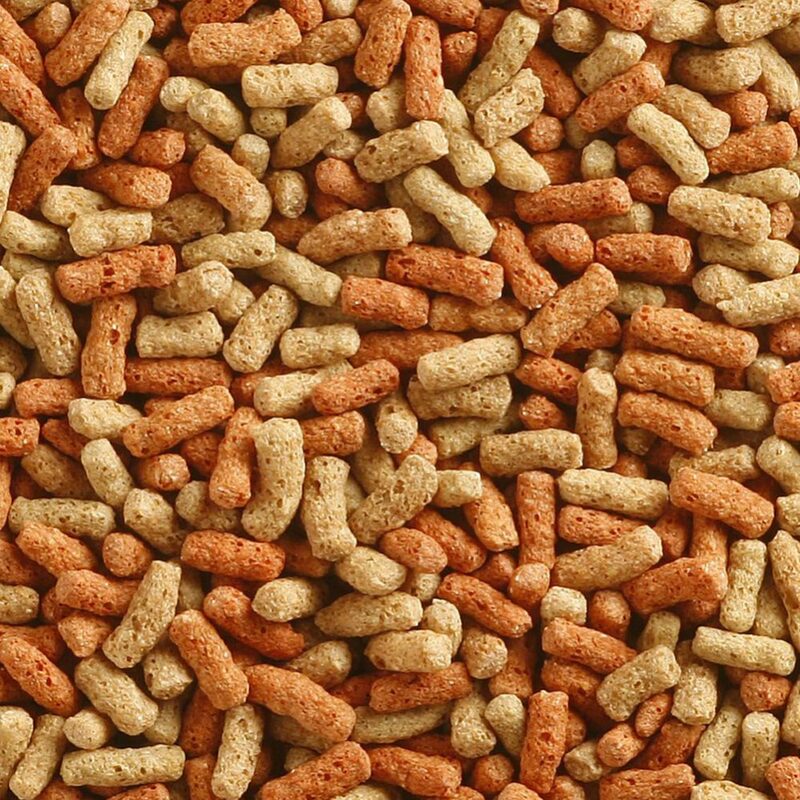 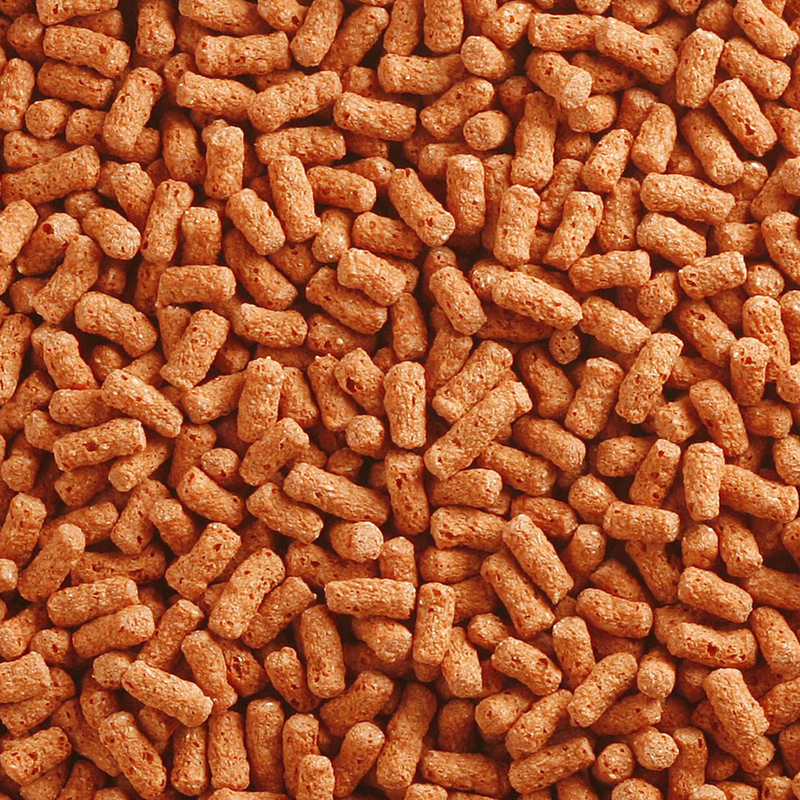 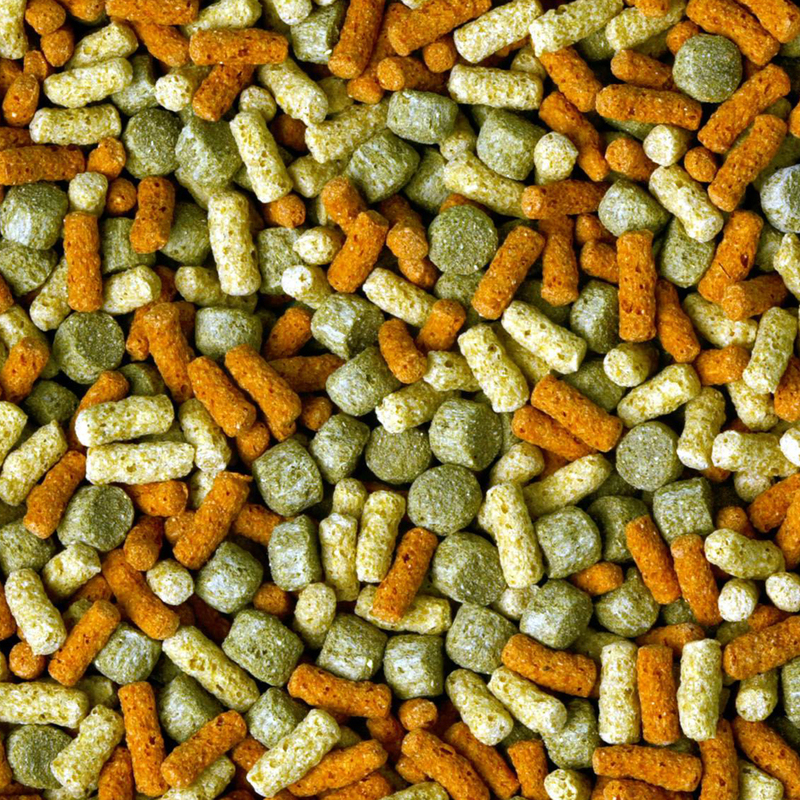 A diverse range of bulk 10kg bags of comprehensive fish food. 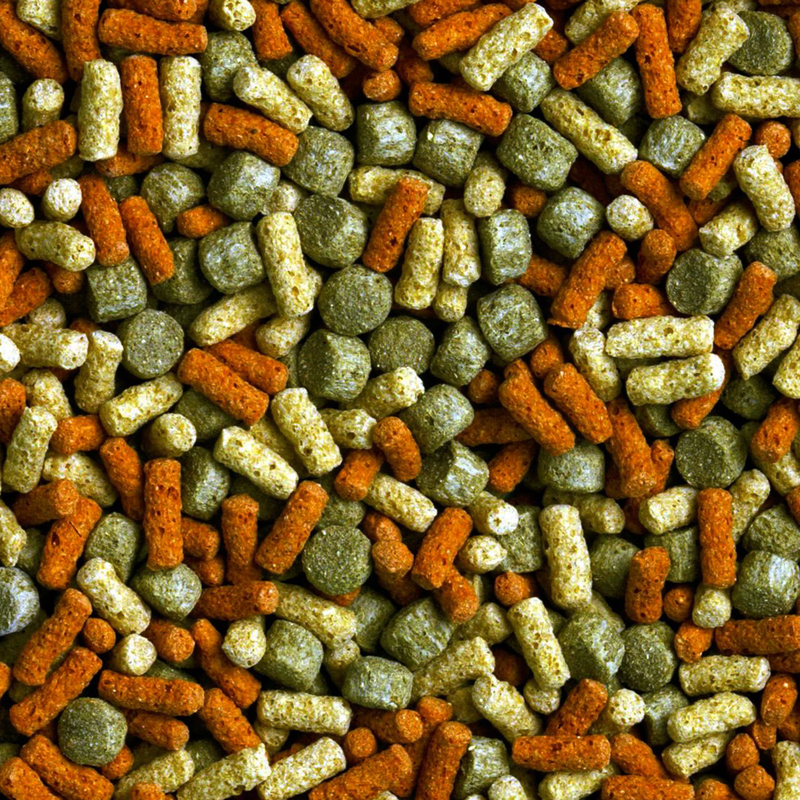 All ingredients have been carefully selected to provide all fish with their full dietary requirements for both health and complete nutrition. 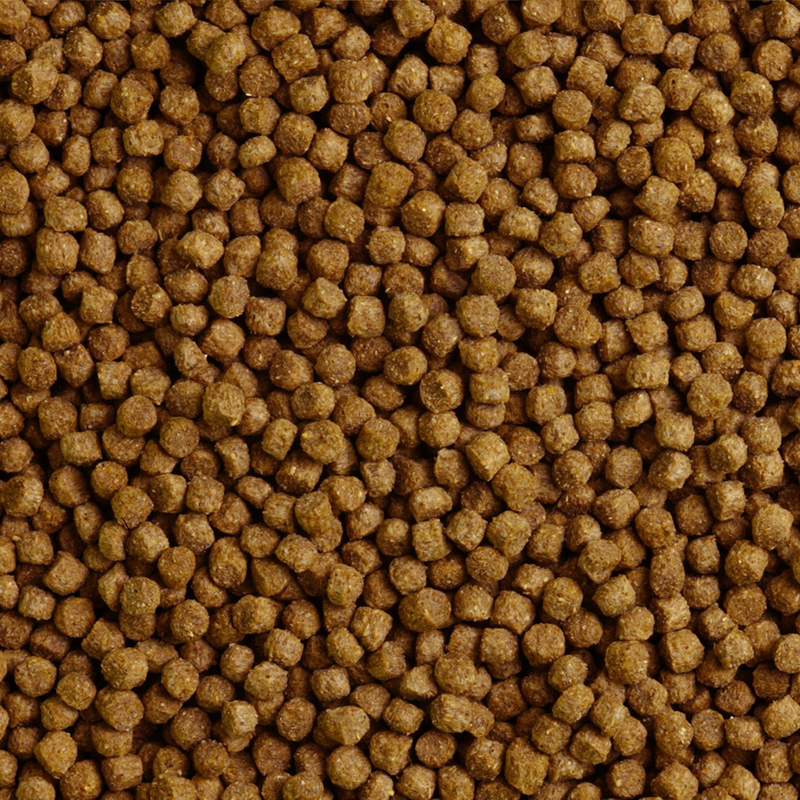 Crude Protein 28 %, Crude Fat 3.5 %, Crude Fibre 2.5 %, Crude Ash 6.5 %. Crude Protein 28 %, Crude Fat 3.5 %, Crude Fibre 2.5 %, Crude Ash 6.5 %. 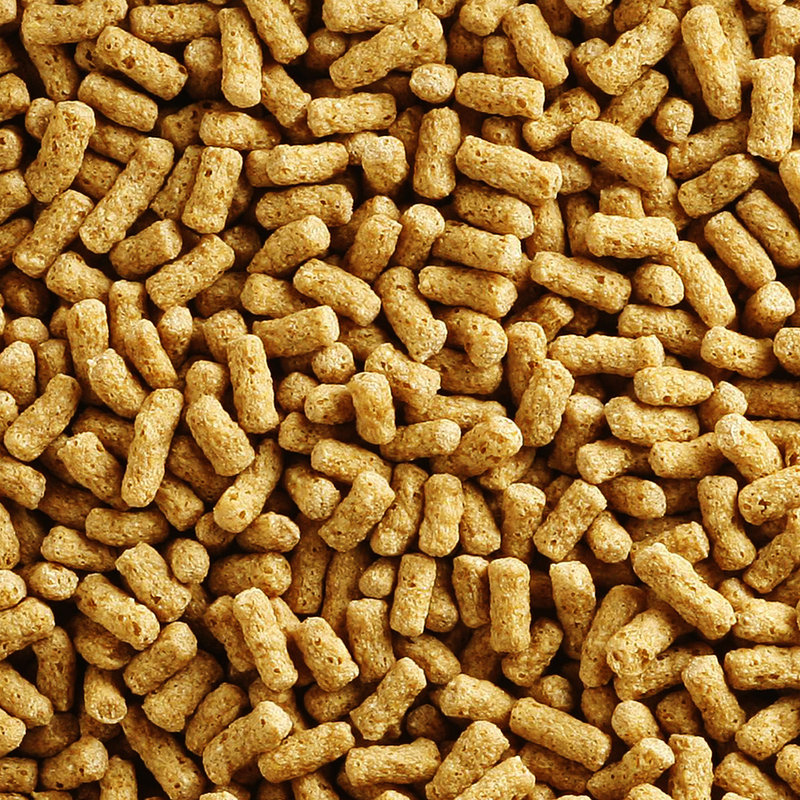 Crude Protein 27 %, Crude Fat 4.5 %, Crude Fibre 3.4 %, Crude Ash 6.5 %. 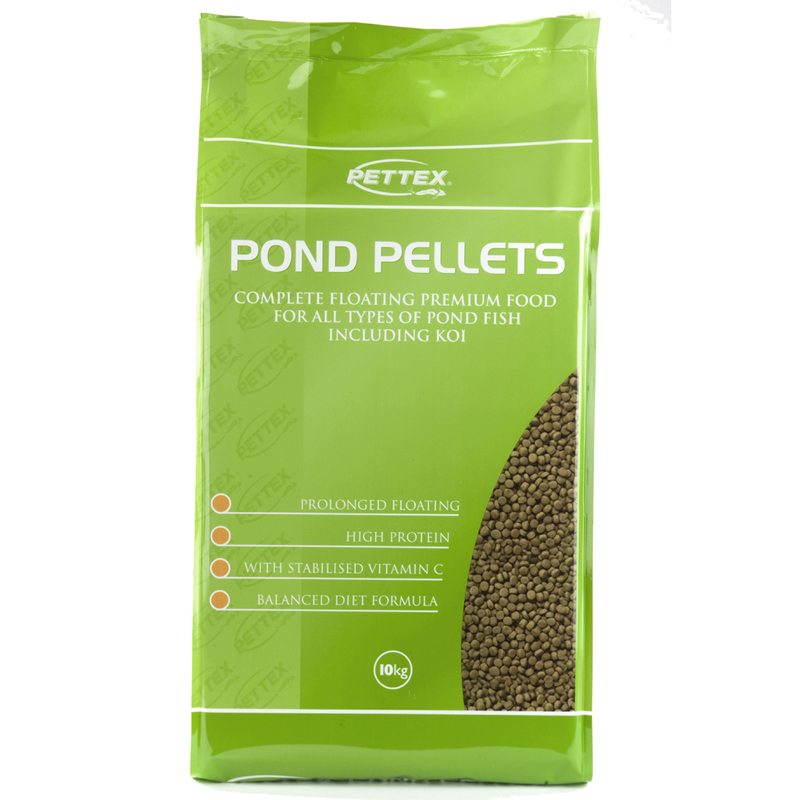 Pettex Pond Flakes are a complete floating premium flake food for all types of pond fish, including Koi. 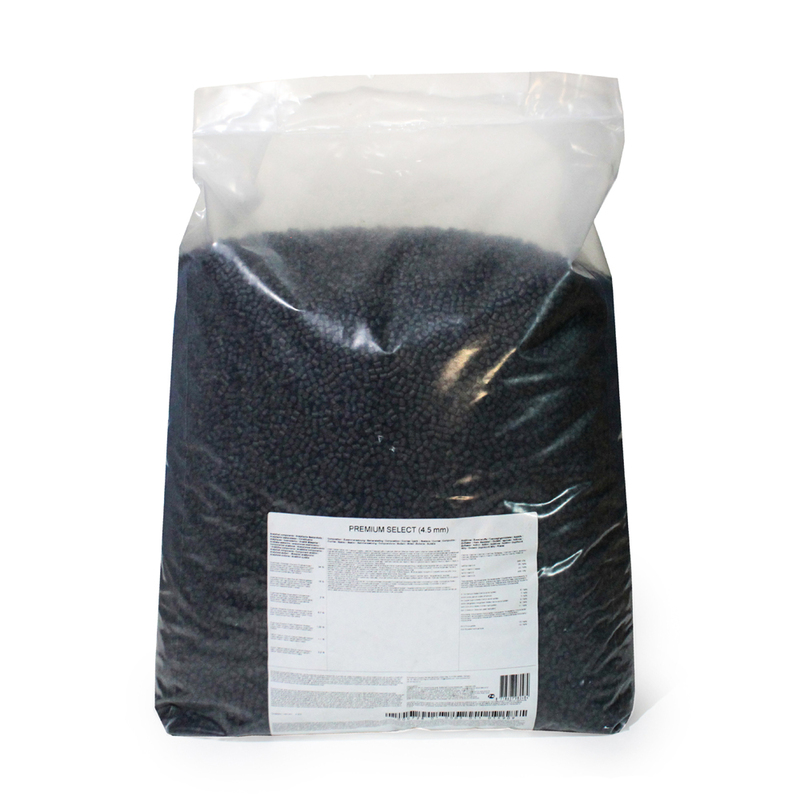 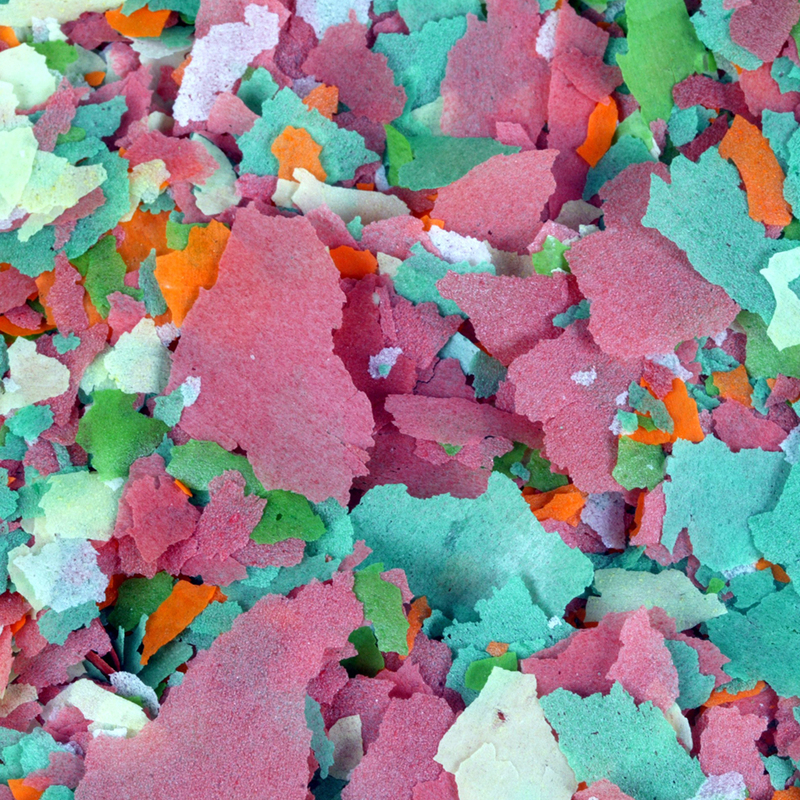 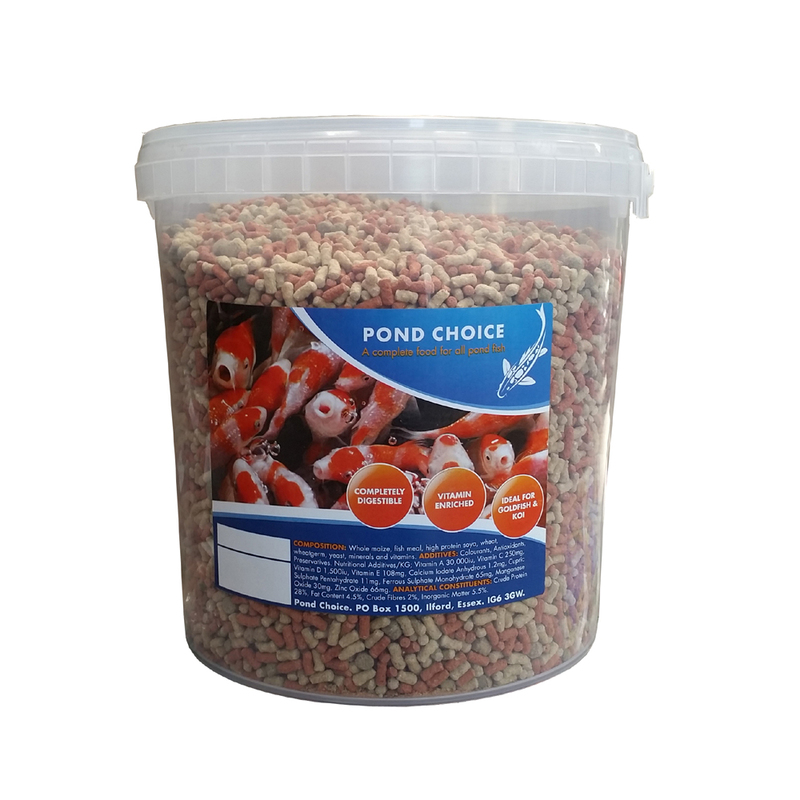 With prolonged floating and high protein our high quality flake can also be used to feed tank fish. 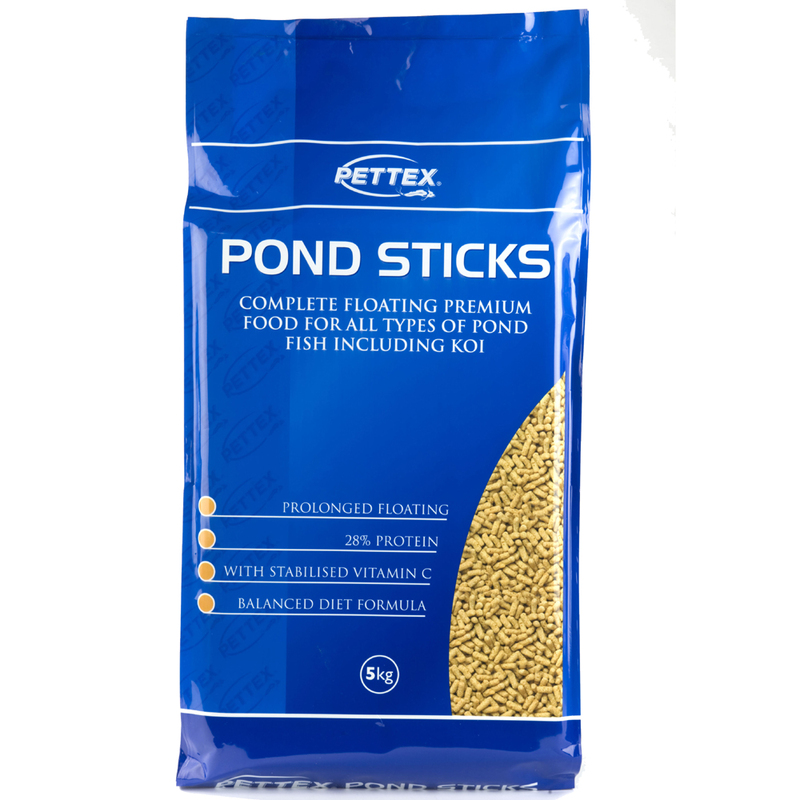 Vitamin enriched and completely digestible Pond Choice Sticks are a complete food for all pond fish, including Koi and Gold Fish.